The latest Chesterfield magistrates’ court results as published in the March 16 edition of the Derbyshire Times are listed below. Wayne Eric Hudson, 36, of Prospect Road, Old Whittington, Chesterfield. Failed to comply with supervision requirements after release from imprisonment by failing to report to the relevant officer. Committed to prison for 14 days. Stephen Dixon, 50, of South Street North, New Whittington, Chesterfield. Indicated a guilty plea to attending an address which he had been prohibited from doing by a non-molestation order. Community order to last until March 5, 2018, with a Rehabilitation Activity Requirement. Fined £60 and must pay an £85 victim surcharge and £85 costs. Leah Cara Toni Jade Hayden, 25, of The Crescent, Brimington, Chesterfield. Indicated a guilty plea to entering a dwelling as a trespasser and stealing a TV, handbag, watch and purse valued at £660. Committed to prison for six months suspended for 18 months with a three month curfew with electronic monitoring and Drug Rehabilitation Requirement and Rehabilitation Activity Requirement. Must pay a £115 victim surcharge and £85 costs. Indicated a guilty plea to possessing cocaine, a controlled class A drug. No separate penalty. Ian Michael Thomas AKA Gilding, 30, of Carter Lane, Shirebrook. Admitted failing to comply with the requirements of a community order by failing to attend with a responsible officer. Order to continue. Fined £50. Jay Frisby, 24, of North Wingfield Road, Grassmoor, Chesterfield. Indicated a guilty plea to attempting to contact someone which he was prohibited from doing by a restraining order. Must pay £115 victim surcharge. Indicated a guilty plea to contacting someone by Snapchat which he was prohibited from doing by a restraining order. Admitted committing a further offence during the operational period of a suspended sentence order for an offence of harassment. No adjudication. Dealt with for the original offence of harassment which was subject to a suspended sentence order. Committed to prison for 24 weeks. Dale Thomas Digby, 21, of Walgrove Avenue, Chesterfield. Admitted failing to comply with a community order by failing to attend with a responsible officer. No adjudication. Dealt with for the original offence which was subject to the community order of damaging a door. Committed to prison for six weeks. Martin James Powell, 35, of No Fixed Abode. Admitted failing to comply with supervision requirements following release from a period of imprisonment by failing to attend with a supervising officer. Committed to prison for 14 days. Dylan James Higgins, 22, of Minimum Terrace, Boythorpe, Chesterfield. Pleaded guilty to using a colour television receiver without a licence. Fined £20 and must pay a £20 victim surcharge and £60 costs. Adrian Antony Roe, 29, of Chaucer Road, Newbold, Chesterfield. Admitted failing to comply with the requirements of a community order by failing to attend with a responsible officer. No adjudication. Dealt with for the original offence which was subject to a community order of sending Facebook messages which he was prohibited from doing by a restraining order. Community order to last until March 8, 2018, with a Rehabilitation Activity Requirement. Fined £125. Joseph Steven Robinson, 20, of High Street, Buxton. Failed to comply with a community requirement of a suspended sentence order by failing to attend with a responsible officer. Suspended sentence originally imposed by Chesterfield magistrates’ court for the offences of taking a vehicle without consent and two thefts varied to 12 weeks of custody suspended for 12 months with a curfew of eight weeks with electronic monitoring and a Drug Rehabilitation Requirement. Jamie Ryan Pickering, 26, of Tapton View Road, Newbold, Chesterfield. Non-payment of £1,020 imposed by Chesterfield magistrates’ court. Court ordered that he continue to pay £10 weekly. Bethany Ulyatt, 23, of Pottery Lane East, Chesterfield. Non-payment of £200 fine. Court ordered she pays £10 once and then pays £5 per week. Callum Joseph Steel, 25, of Warnadene Road, Sutton-in-Ashfield. Pleaded guilty to damaging a door and a double-glazed window at a property on Devonshire Street, at New Houghton. Must pay £100 compensation. Committed to prison for eight weeks. Michael Duffy, 43, of Kitson Avenue, Jacksdale. Indicated a guilty plea to stealing a quantity of lead. Fined £120 and must pay £70 compensation and £200 compensation. Pleaded guilty to failing to surrender to custody having been released on bail. Fined £60. Michelle Barber, 35, of Green Farm Close, Chesterfield. Pleaded guilty to stealing chocolate and coffee valued at £20.78 belonging to the Co-operative. Must pay £20.78. Pleaded guilty to stealing meat valued at £50 belonging to the Co-op, at Spital Lane, Chesterfield. Committed to prison for 16 weeks. 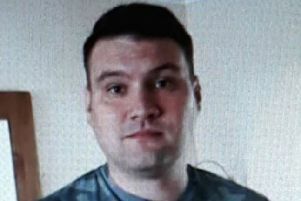 Justin Burroughs, 41, of Green Farm Close, Green Farm Estate, Loundsley Green, Chesterfield. Pleaded guilty to stealing meat and chocolates valued at £69.82 belonging to the Co-operative. Must pay £20 compensation. Pleaded guilty to stealing coffee and chocolate valued at £44 belonging to the Co-operative Society. Must pay £44 compensation. Pleaded guilty to stealing smoked salmon valued at £69.82 belonging to Tesco. Committed to prison for 16 weeks. Amey-Lou Duggins, 26, of Howells Place, Mastin Moor, Chesterfield. Pleaded guilty to stealing goods valued at £93.40 belonging to Sainsbury’s, on Rother Way, Chesterfield. Must pay a £115 victim surcharge. Admitted committing an offence during the operational period of a suspended sentence order for an offence of theft. No adjudication. Dealt with for the original offence of stealing goods valued at £93.15 belonging to B&M Bargains which was subject to the suspended sentence order. Committed to prison for nine weeks. Carl Reid, 30, of Markland Crescent, Clowne. Admitted failing to comply with a community requirement of a suspended sentence order by failing to attend with a responsible officer. No adjudication. Dealt with for the original offence which was subject to the suspended sentence order of stealing cash valued at £50. Suspended sentence of imprisonment of 14 weeks of custody suspended for one year implemented as a sentence of 12 weeks. David Thomas, 53, of Lumsdale Road, Matlock. Pleaded guilty to exceeding the alcohol drink-drive limit. Fined £120 and must pay a £30 victim surcharge and £85 costs. Disqualified from driving for 20 months. Aaron Lee Thompson, 20, of Deepdale Road, Bolsover. Pleaded guilty to using threatening behaviour. No separate penalty. Indicated a guilty plea to using racially aggravated threatening behaviour. Must pay £100 compensation and an £85 victim surcharge and £85 costs. Community order to last until September 8, 2018, with a Thinking Skills Programme and a Rehabilitation Activity Requirement and 100 hours of unpaid work. William Abu-Bakr, 25, of Grimsby Road, Grimsby. Pleaded guilty to committing assault by beating on Bakewell Road, at Matlock. Community order to last until March 2, 2018, with a Rehabilitation Activity Requirement and 100 hours of unpaid work. Must pay an £85 victim surcharge and £400 costs.